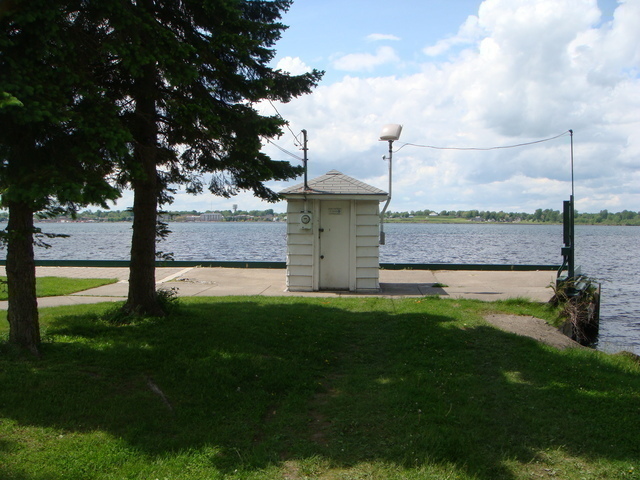 How to reach: TO REACH THE NOS GAUGING STATION IN OGDENSBURG, NY, ST. LAWRENCE COUNTY. FROM THE INTERSECTION OF FORD ST AND CAROLINE ST, PROCEED NORTH ON CAROLINE ST FOR APPROX. (0.5 KM) 0.3 MILES . THE ETG THE GAUGE HOUSE IS LOCATED AT THE FOOT OF CAROLINE ST., AT THE NORTHEAST CORNER OF MORRISETTE PARK.